I probably should have held off this profile for World Cup Week. Not like we'll have any trouble finding five soccer-related Jews... Right? Well, we can always go the Zinedine Zidane route again. The idea for Spike came from TVTropes.org, who did us the honor of linking us a while back. Happy to return the favor. Usually when we get these random anime character suggestions we let them gather dust, but I am a HUGE Cowboy Bebop fan. I can't recommend the show highly enough. I wasn't going to turn down the opportunity to write about one of my all time favorite fictional characters. Remember, the last time I recommended something this highly, it was Mad Men. Clearly, I at least kinda know what I'm talking about. Right? I'm stupid. I read "The Lost Symbol". 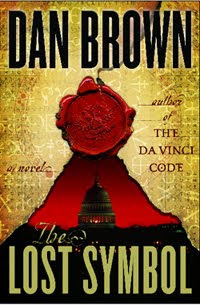 I don't know why... Yakov and I co-wrote the this earlier this year, talking about our joint disdain for Dan Brown's books, yet I read "The Lost Symbol". Why? Not only is it a carbon copy of the previous two novels, it's a washed-out carbon copy. Rome and Paris are replaced by a much less interesting Washington DC. Pages upon pages are wasted on circular dialogue, as Brown beats a point to death, then revives it only to beat it again. The major mystery is obvious from the moment a character is introduced (I won't spoil it for those dumb enough to attempt to read this dreck), but for 400 pages I was screaming "____ is ____, dumbasses! How stupid do you have to be!" And Robert Langdon, who -- I'll admit it -- makes the first two books somewhat interesting by solving their various mysteries, here struts along, deciphering one stupid pyramid throughout the entire novel, and then gets the final answer delivered to him (and you, idiot reader) on a platter. Meh. Honestly, I don't see how Brown got 500+ pages out of this story. It's about three times as long as it should have been. Maybe that's his real talent. JONJ Rating: 1 / 5. Yes, the email described in the profile is an actual one we received, from Andrea in Seattle. Schwartzman was also suggested by Nicole from Grand Rapids, MI. Big thanks to Harry from New York for alerting us. What a great day today is! Not only is it our 700th profile, it's also the premiere of the highly-anticipated Sherlock Holmes movie! Anyway, I'm trying to reduce my expectations for this one. Holmes as a womanizing action hero? We'll see. 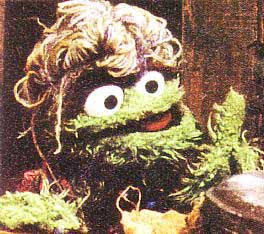 Can she be anything but Jewish? So why didn't we profile the Jewish Steve Dubinsky instead? He's been out of the NHL for 6 years and had an average-at-best career before that. Besides, profiling Brandon gives us a chance to rag on the one sports team hated by 100% of the Jew or Not Jew staff. Dubinsky was suggested by Michael from Maryland. For those of you trying to figure out what the heck is going on here, Stern was the voice of older Kevin on The Wonder Years. For those of you trying to figure out what The Wonder Years was, well, some people are beyond help. So, apparently, she IS worth a profile. Here it is... One of our longest profiles ever, at that. Rachel was suggested by Randy from LA, Brian from LA, and Jeff from Illinois. We got quite a few requests to profile Rachel Uchitel, the woman in the center of the Tiger Woods scandal. Until recently, there was not much out there... Not anymore. But the information is not exactly consistent. On one hand, she is a granddaughter of a Jewish immigrant and was bat mitzvahed herself. She was even married by a rabbi in a multi-denominational ceremony. But on the other hand, she supposedly claims it's her (now ex-)husband who is Jewish, while she is Presbyterian. So which one is it? There's enough out there to assume she's Jewish alright, that last quote or not. Now, the big question is... is she worth a JONJ profile? We've mentioned that Jay Fiedler is Jewish in at least three different profiles. But, as reader Jason from Rockville, MD points out, it's about time he's got one of his own. Who is it? 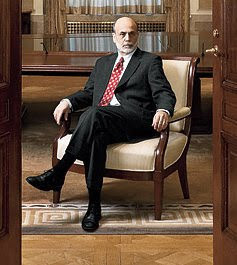 Well, it's Federal Reserve Chairman Ben Bernanke. Huh? Say what? In this economy? Well, he's Jewish, so... good? 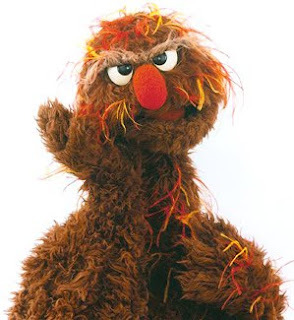 Soupy was suggested by George from Maryland and Harry from NY. As a thank you, we have thrown a virtual pie in their virtual faces. Enjoy! Coming up with who to profile is one of the harder parts of running this site. If it weren't for the suggestions of helpful readers, we probably would have run out of ideas a long time ago. When we hit a wall, one trick is to pick a category and try to figure out if there's anyone Jewish in there. Royalty, for example, was a very fruitful area to explore. Racehorses, was another (What can we say? We're odd. But you already knew that). Ziggy comes from wondering if there were any funny pages Jews and, sure enough, we found one. Sort of. Omri is the first Israeli to play in the NBA. The first drafted was Doron Sheffer, who played college basketball at UConn but decided to play in Israel instead of the NBA. Considering he was drafted by the Clippers, that was probably the right choice. Somehow, last year we wrote TWO Christmas profiles, but not one for Hanukkah... Yet who can we profile? Judah the Maccabee?